The replacement bus stops for East Bank and West Bank have been moved due to a blockage. Arradondo on protesters at Super Bowl 52. Mpls police chief Medaria Arradondo on giving protesters space to express themselves and getting fans to the big game. 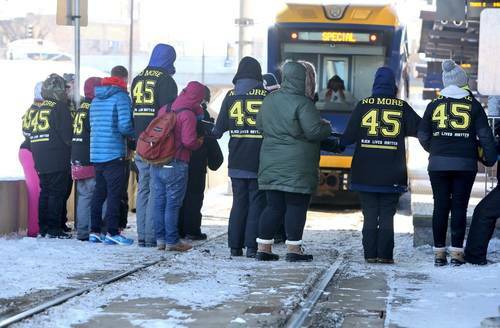 Protesters had blocked Metro Transit light rail trains on the Green Line heading near the University of Minnesota's West Bank. Police have given a dispersal order. Protesters who remain, police say, will be arrested. Police march in with zip ties to arrest protesters. Police officer talking to firefighter about how they are going to unlock protesters: "We've got nothing but time." Police and firefighters effectively cutting locks used by protesters to keep them joined. First people released from the human chain appear to have been arrested. 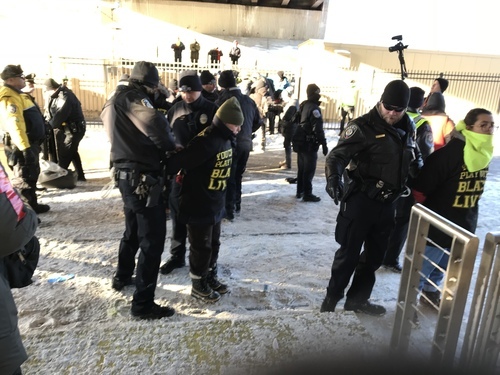 MPR News reporter estimates more than a dozen protesters were arrested. 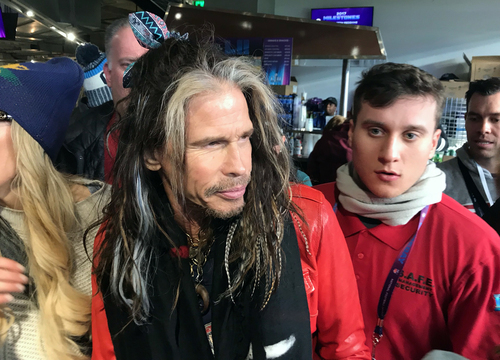 The ticket holders disrupted by the protest have arrived at US Bank Stadium.